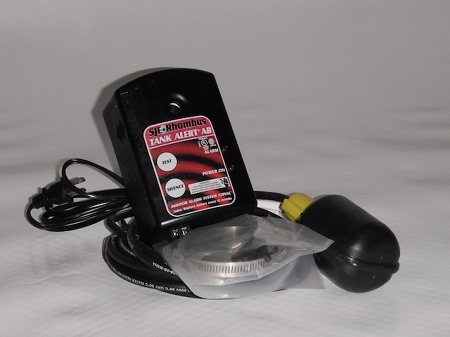 This premium water alarm will alert you if the sump pump fails. It comes with a float switch that is mounted inside the sump basin and will allow additional sensors. On the dashboard there is a control to test the alarm as well as to silence it. Additional sensors can be wired to this alarm. Ask a technician for details.